Learn More About Parkway Chrysler Dodge Jeep Ram! Dodge built the first minivan in the early 80s. We sell the latest Dodge models at Parkway Chrysler Dodge Jeep Ram, and we offer the brand's modern Dodge Grand Caravan to Clinton Township and the nearby area. The automaker included fuel-efficient touches in the model's new edition. When you sit in Grand Caravan's driver's seat, you will notice an array of items in its user-friendly cockpit. 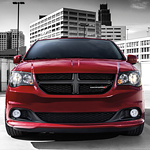 Dodge's ECON button rests among those, and no other minivan in Grand Caravan's class includes a similar feature. The button controls the auto's fuel economizer. 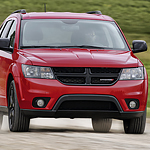 Not only does Dodge Journey look good and drive great, it keeps its passengers as safe as possible. Motorists might be surprised by the safety features this popular midsize SUV has to offer. Parkway Chrysler Dodge Jeep Ram can tell you that having a great vehicle frame keeps drivers and passengers safer, and Dodge Journey offers a protective frame that goes a step beyond. Several areas of Journey's frame incorporate dual-phase steel that allow the vehicle to handle bigger loads and deliver better energy management if there is an impact.